MON: 7:00 a.m. - 8:30 p.m. WED: 7:00 a.m. - 8:30 p.m.
THU: 7:00 a.m. - 8:30 p.m. SAT: Every other Saturday for MRI: 7:00 a.m. - 1:00 p.m. 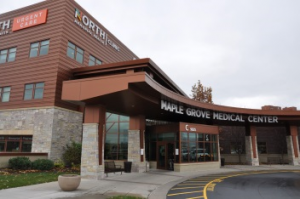 Imaging Center of Maple Grove is conveniently located in the medical office building on the campus of the new Maple Grove Hospital. From I-94, take the Maple Grove Parkway exit (Exit 213). Go north on Maple Grove Parkway to Hospital Drive. Turn left on Hospital Drive. Turn left in to parking lot for medical office building and outpatient center.